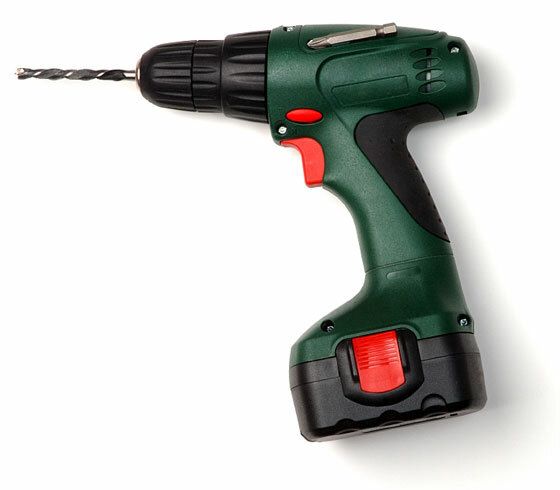 This dark green and black cordless drill has a drill bit in its hand-tightened chuck and a black rubberized handle to provide good balance in the hand. Many cordless drills have a removable battery, two direction drive, and variable speed motors. Torque limiters protect the screws and small drill-bits from snapping.